Laser tag is a game that is played with guns that emit infrared beams. Highly popular amongst the millennials, it is one of the most trending offline game. When in the city, visit these centres or gaming lounges where you have to play the game till you are laser-tagged. Take a look at the top places for laser tag in Pune. This is essentially a bowling alley in Viman Nagar which also offers laser tags to game enthusiasts. 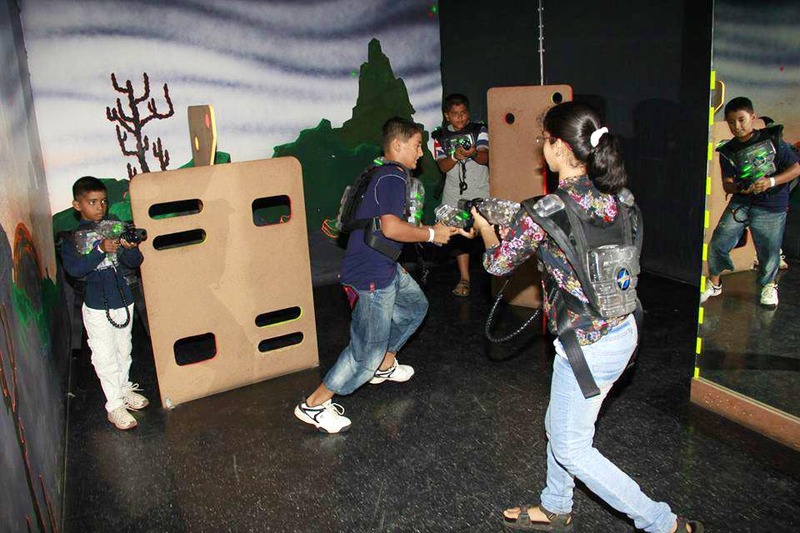 Play laser tag in Smaaash Pune with your gang and avail various offers that the place keeps offering to its patrons. An amazing place to be with your friends or even colleagues, you will fall for its interiors and vibes. For INR 250 for 30 min, you can enjoy the game along with a snack! Vortex gaming Lounge in Parihar Chowk, Aundh is a highly popular destination to play laser tag. The play area has high configuration and has been specially designed for the ardent gamers. Visit the place with your gang and we guarantee you an adrenaline rush! The place opens as early as 8 AM. They charge between INR 100- 130 for a 15-minute duration. Started in 2012, Amigos in Deccan Gymkhana is an Insta-worthy gaming arcade that offers laser tag as of the gaming options. You'll love playing laser tag here. Also, it is a cafe where you can order yummy food and drinks. Have a small party? They offer great packages including games as well. King of Game is situated inside Kumar Pacific Mall on Shankar Sheth road. Bring in your gang and go crazy with laser tag. The arena is well-equipped and the charges per head for the game are also reasonable. The cost during holidays is slightly higher. For a duration of 10 min, they charge about INR 125 plus GST per person.